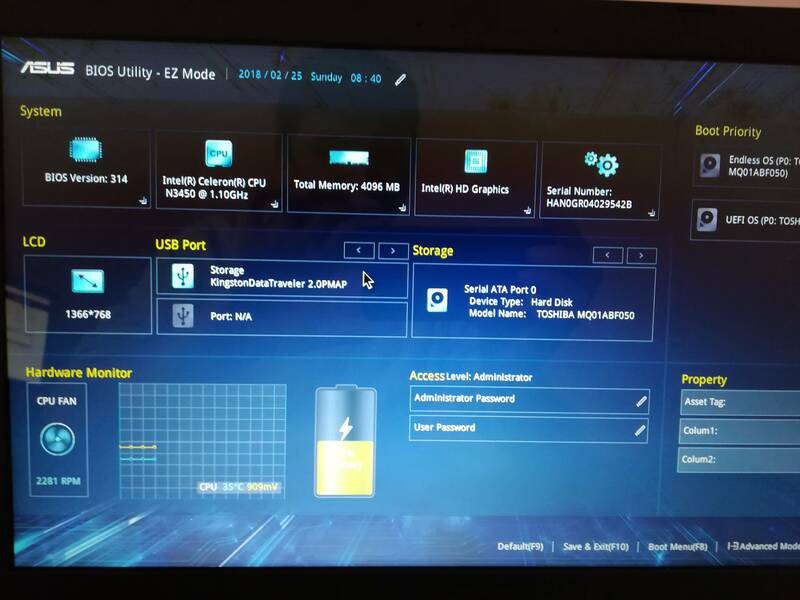 Today i've purchased a new laptop for my father to have at work (https://www.asus.com/Laptops/X541NA/specifications/) and it comes preinstalled with that endless OS. Wanted to install a brand new copy of Windows 7 or Windows 10 from an usb stick but i cannot. In bios i can't see the usb stick nor the DVD-RW. I can only see the HDD media. Strangely enough the legacy boot option is not present but the secure boot option is set to off. I believe this could be the problem, i dont have any legacy boot options so that i could boot the usb stick when plugged into the usb 2.0 port. Make sure you're in the advanced options screen. Keep secure boot off. Have you tried the "add boot option" I see in the screenshots? 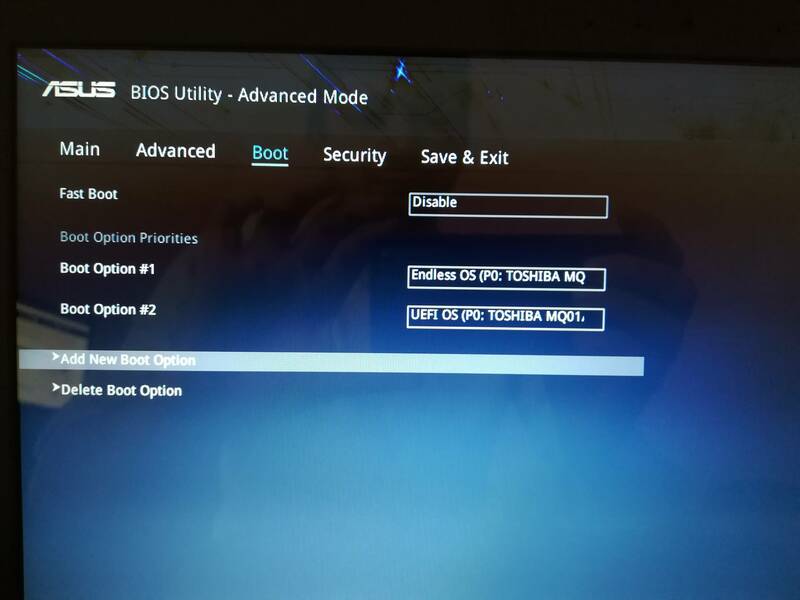 I've tried the add boot options but it doesnt do anything. It simply crashes the laptop. Make sure your USB stick is actually bootable. Use the media creation tool to create your installer. If the USB drive is older, try a new one. In my experience the newer UEFI setups will generally only show a device in the boot menu if it actually contains bootable media. So your USB stick not showing would indicate it's not bootable. DVD drive not showing would indicate you do not have a bootable DVD inserted into it.